Waterton Lakes Park is noted for its windy weather. There is every shape of wind-blown tree and snag and this is one of them. This is a simplified snag on the trail to Bertha Falls. Lauren Harris of the Group of Seven was a master at painting sun-bleached snags. 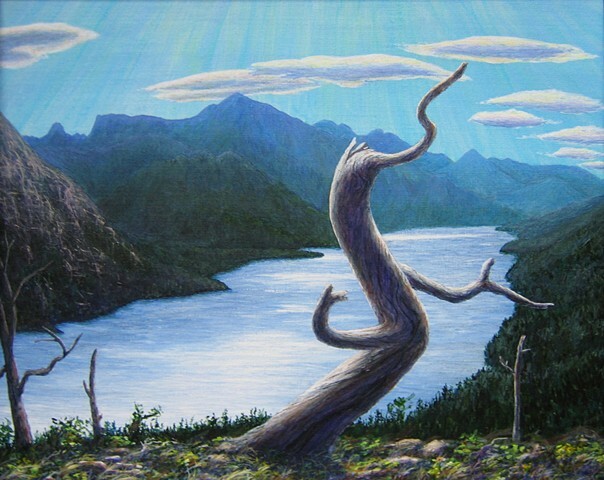 My painting of a snag exemplifies an inukshuk in a southern form, a directional symbol.